The IMMA selection criteria are designed to capture many aspects of the biology, ecology and population structure of marine mammals. These criteria are not hierarchical in design but it is advised that prospective IMMAs are assessed sequentially in the given order. Therefore, any candidate need only satisfy one of the listed criteria and/or sub-criteria to successfully qualify for IMMA status. Though they cover a range of important attributes, and redundancies between them have been removed, there are some overlaps in the differing criteria that remain to assist assembled experts to identify IMMAs efficiently from that evidence best available. Areas containing habitat important for the survival and recovery of threatened and declining species. Areas supporting at least one resident population, containing an important proportion of that species or population, that are occupied consistently. Areas with underlying qualities that support important concentrations of a species or population. Areas that are important for a species or population to mate, give birth, and/or care for young until weaning. Areas and conditions that provide an important nutritional base on which a species or population depends. Areas used for important migration or other movements, often connecting distinct life-cycle areas or the different parts of the year-round range of a non-migratory population. Areas which sustain populations with important genetic, behavioural or ecologically distinctive characteristics.  Areas containing habitat that supports an important diversity of marine mammal species.